Have the September elections changed anything? Will we look back on the 8 September elections as a watershed in Russian politics? In eight regions, governors were standing for election, and sixteen were choosing their regional legislative assemblies. At the same time, municipal elections in almost every region included several important elections of mayors and representative assemblies in big cities. So, after a fairly long break of nearly a year, Russians were once more able to turn out and vote. The significance of these elections does not end there though, because the polling stations became an area of experimentation for new trends, which have been emerging in Russian politics since the protests of December 2011. Kremlin ideologues and propaganda merchants claim that the country has a new political system, more open and competitive than the last (which, by definition must have lacked legitimacy); and, paradoxically, some opposition members agree: for them the elections were visible proof of a step change in Russia’s political life. I regard this as an exaggeration. The most important, gubernatorial, elections all ran according to the script drawn up in October 2012. In the overwhelming majority of cases, members of the opposition were prevented from taking part in the elections. Supposedly independent opponents of incumbent mayors (approved of by the Kremlin) were put up for election by ‘official’ opposition parties, such as the CPRF [Communist Party], LDPR [Liberal Democrats] and ‘Just Russia.’ These candidates were known to be unpopular and lacking any serious political resources; their campaigns were unremarkable and they were clearly expecting to fail. As a result, the incumbent governors were victorious in practically every region; moreover, in seven of them they received over 60% of the vote. The exception was the mayoral election in Moscow, whose constitutional status makes its mayor effectively a governor. Reforms to party law in 2012 had made registration easier, so there were more parties fielding candidates for regional legislature elections than ever before; often more than ten, and in some regions more than twenty. However, this produced few changes of any note to the party landscape in the regions. Most of the new parties were weak and unable to attract votes; many of them had originally been set up as ‘spoilers,’ aimed at splitting the traditional official opposition parties’ vote, rather than winning. Their presence at the elections only increased the likelihood of a ‘United Russia’ victory, exactly as the Kremlin intended. There is no doubt that ‘United Russia’ won the overwhelming majority of seats in these twelve constituencies, with a valid majority. In twelve of the sixteen regions where ‘United Russia’ party lists received 40-60% of the vote, an average 20% of votes were lost through voters opting for parties which received less than 5% of the vote, and thus were not entitled to any seats. This means that the share of seats won by ‘United Russia’ in the proportional representation section of the electoral system was nowhere lower than 50%. There is no doubt that ‘United Russia’ won the overwhelming majority of seats in these twelve constituencies with a valid majority. If the four regions where the share of the voting for the ‘United Russia’ party list exceeded 60%, are discounted, then the ‘new rules of the game’ had no effect whatsoever on the political results of the election. On average, ‘United Russia’ held on to more than 70% of seats in the regional legislatures. This is unsurprising, given that most of the municipal or regional elections were conducted according to the election campaign model which emerged over the period 2007-09: no meaningful pre-election debates, passive candidates unwilling to try and grasp the most pressing political issues, voter mobilisation by the authorities, and fraudulent counting of votes. With one exception: in Moscow the authorities did their best to move away from this model for the mayoral election campaign. The very fact that the incumbent mayor Sergey Sobyanin was standing as an independent candidate, rather than for ‘United Russia’, was proof that this election was an experiment; as was the presence on the electoral list of Aleksey Navalny, radical critic of the current Russian government, alongside representatives of the traditional opposition parties. Shortly before the election, Navalny was convicted in a criminal court, which means he could go prison, should his appeal fail. He was released from detention before his appeal went to court, enabling him to take part in the election. The authorities were so keen he should stand as a candidate that they even helped him collect the required number of signatures from municipal deputies (without which he could not have registered his candidacy). There were isolated attempts to prevent him taking part in the campaign, but they were limited and random. The authorities chose to refrain from mobilising ‘loyal’ voters, and, on the whole, did not hinder the monitoring at polling stations, with the result that the level of fraud was considerably lower than in the 2011 elections. Of course, let us be clear: the authorities had no intention of helping Navalny be elected mayor of Moscow. They simply wanted to demonstrate that a candidate enjoying the support of central government could win a fair and free election. At the beginning of the campaign, leading election pundits predicted that Navalny would poll 10-15%, and Sobyanin would win with a colossal majority in the first round. In the event, however, it became abundantly clear that without voter mobilisation and/or mass rigging, this was unrealistic. Navalny’s campaign was effective, reasonably well organised and targeted at opposition-minded voters; Sobyanin’s, by contrast,was as listless and devoid of content as the campaigns of official candidates and governors usually are in today’s Russia. The government was unable to get through to the de-politicised masses (the regime’s main electoral support group) as to why they should vote for Sobyanin. The turnout in Moscow was thus very low (about 33%), and a large part of the real electorate were Navalny supporters, which meant that he received more than 27% of the vote. Sobyanin polled just over 50%, avoiding a second round by a whisker. Navalny’s success at this election changes the political landscape in Russia. Most importantly, he has managed to consolidate his position as a potential leader of the heretofore fragmented opposition. In allowing him to stand as a candidate, the government was calculating that 10-15% of the vote would prevent him from becoming such a leader, but their strategy failed. 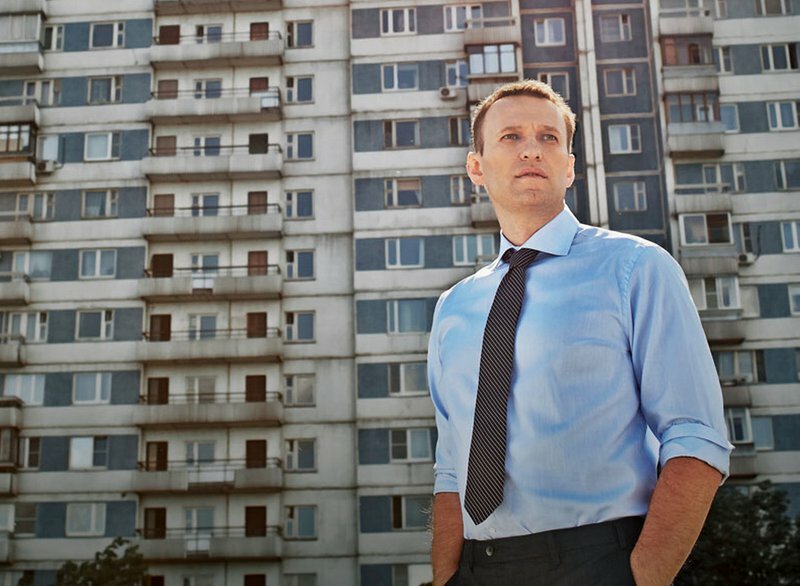 Navalny is now in a stronger position than ever; and it was completely logical for him to announce at the televised meeting after the count that he would be setting up his own political party to put an end once and for all to the monopoly enjoyed by ‘United Russia.’ The electoral campaign and its outcome have brought him very much nearer his goal. However, it should not be overlooked that Navalny is still under threat of a prison sentence. Some of Mr Putin’s comments during the campaign could well be interpreted as a sign that success will not save Navalny from prison. This would mean that the Russian opposition had found a real leader, only to lose him again. Of course, many countries have found that imprisoning a leader does not necessarily harm the opposition – South Africa, for instance – but it is also crucially important that the opposition be strong, and that is not the case in Russia. Navalny was nominated as a candidate in the mayoral election by one of the oldest liberal parties, the Russian Republican Party – the Party of National Freedom (RPR - PARNAS), but it is a weak party: its leadership was not unanimous in its support for Navalny, and the party played no real part in his campaign. Yes, Navalny announced that he would be forming a new party called the People’s Alliance, but that has not yet happened. Navalny has managed to gather an effective group of supporters in Moscow, made up of members of the protest movement, and volunteers who worked on his election campaign. It also became apparent that his team – mainly Leonid Volkov – was able to run an effective campaign employing modern campaigning and organisation strategies. Nevertheless, the protest movement, has shown little ability for systematic party activity, and the failure of the People’s Alliance project demonstrates that Navalny’s current team, as yet still lacks the wherewithal for the creation of a party machine. What is clear is that, without a nationwide organisation, Navalny’s success in Moscow will remain a local and transient phenomenon (if he manages to stay out of prison, that is…); with a suspended sentence, and under investigation in several other matters, he will be unable to take any active part in setting up his own party, and there is no sign of any promising group of politicians who would be able to take this on for him. Some of the other trends in the Russian democratic opposition do not look very promising either. The traditional liberal party, ‘Yabloko’, shows no evidence of being able to respond to the new challenges: in nine of the sixteen recent regional elections its party lists received on average 1.4% of the vote. The most humiliating defeat was the 3.5% received by the party’s official leader, Sergei Mitrokhin, in the Moscow election. The RPR-PARNAS list received slightly more than 5% in the Yaroslavl election, thus gaining one seat. This relative success was down to the region’s proximity to Moscow, and party solidarity with the popular former mayor, currently in prison, Yevgeniy Urlashov. But these factors were dictated by the situation: in another region (Ivanovo) the RPR-PARNAS list received only 0.3% of the vote. Mikhail Prokhorov’s ‘Civil Platform’ had some success at the September elections. Yevgeniy Roizman, standing on its ticket, won the mayoral election in Yekaterinburg, which many observers consider a significant coup for the opposition. Unlike the Moscow mayor, however, the mayor in Yekaterinburg has relatively limited power, so the real political outcome of this victory should not be exaggerated. That no steps were taken to prevent Roizman being declared the victor was in part down to his affiliation to the ‘Civil Platform’ party, which the Kremlin is clearly prepared to include in the official opposition. The party did quite well in several legislature elections, managing to pass the 7% barrier in the Irkutsk region (again, particular aspects of the situation there helped), and in Kalmykia also. This is one of the regions where representation in parliament is only for those parties that have the official Kremlin stamp of approval. If one of the Kremlin priorities was to increase electoral competitiveness, then the results of the September elections were unsatisfactory. The old model continued to function, and in Moscow, where it did not, the political outcome clearly does not suit the regime at all. The political threats, however, are not all that menacing: the government still holds all the cards, enabling it to neutralise the dangers posed by Navalny. Looking ahead to the 2014 elections for the Moscow City Council, people who voted for Navalny this time, could well go over to ‘Civil Platform,’ thus returning them to the sheepfold under government political control. This probably explains why the authorities regard the Prokhorov project reasonably favourably. Other Russian opposition groups do not represent any very serious threat to the government. To my mind, the authorities do not see any need to change their chosen political strategy; it was worked out by politicians and their consultants close to the Kremlin; and to whose advantage it is to present the election results as part of the bigger picture they have planned. Still, there are some lessons to be learnt from the September elections, evinced by the clear failure in Moscow, mainly relating to pre-electoral tactics. It is now clear that, without recourse to the old tricks, the government has no effective means of getting apathetic citizens to turn out and vote. Yet, if they continue with their policy of increasing competitiveness, and eliminating some of the more odious features of previous elections, then they are going to need a new campaigning model: that is, an ideology that persuades voters that they really want to vote for the government, rather than just being herded into polling stations. Since the beginning of 2013, such an ideology, combining a socially conservative, religious and nationalist agenda, has been swirling around in the media, but the September results presented clear evidence that so far, this ‘new’ ideology has not successfully meshed with electoral policy. This is probably the Kremlin’s next task, and no doubt we can expect the media to increase their attempts to engineer it in the near future. The government’s other problem, which was abundantly clear from the electoral campaign, is that ‘United Russia’ is not the right instrument for organising government policy directed at mobilising ‘loyal’ voters. It is hard to say whether the government will deal with this problem by re-formatting ‘United Russia,’ or expanding the role of the Popular Front, or some combination of the two. I think that ‘United Russia’ will be preserved as a tool for controlling legislative assemblies, while the main campaigning party will be the Popular Front; and ‘independent candidates’ who will stand in single-member constituencies.